Changes are planned for San Antonioâ€™s worldâ€™s fair site, HemisFair â€˜68, and they have fans of modern architecture concerned. Intended to celebrate the cityâ€™s 250-anniversary and a confluence of cultures, HemisFair â€™68 was a six-month exposition opened by First Lady Ladybird Johnson in April 1968 and it attracted 6.3 million visitors. 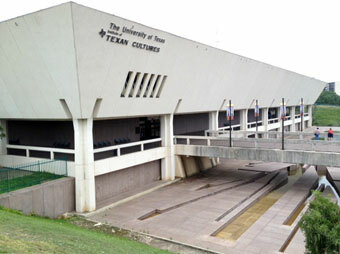 Docomomo US/MidTexMod takes a look at HemisFair '68's under-utilization and recent redevelopment plans. Is â€œGreenâ€ Being Used to Validate Removal of Our Layered Cities? In her blog True Green Cities, Barbara Campagna discusses the nuances of healthy, sustainable cities, the recent study by Terrapin Bright Green entitled â€œMidcentury (Un)Modernâ€ and that , "while green has been the color of the decade, maybe gray should be the color of the next." 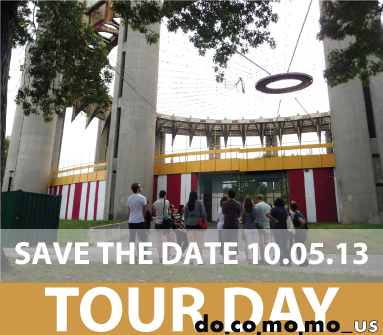 Docomomo US is excited to announce our seventh annual national Tour Day taking place on October 5, 2013. Our annual event features midcentury walking tours, bus tours and home tours hosted by Docomomo US regional Chapters, Affiliates, Friend Organizations and more! Now is the time if you would like to organize a local tour and be on the map of events. For more information on the Docomomo US Tour Day and how to organize a tour, go to the official Tour Day page. Deliberations of the conference "Filling the Gaps: World Heritage and the 20th Century" are organized under four thematic sessions - Evaluation, Intervention, Management of Change, and, a special focus on twentieth-century Historic Urban Landscapes. Each of these sessions will be structured around an overview on the theme by an invited specialist, presentation of selected papers, as well as a panel discussion for a rich exchange of experiences and approaches. In addition, poster displays on conference themes and an exhibition of related studies will enable sharing of lessons learnt in diverse territories of the twentieth-century heritage. For more information about submission instructions and registration, visit the website of the EAHN. 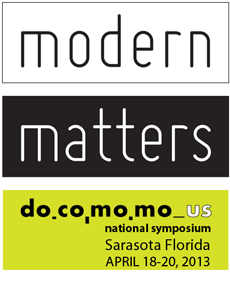 Join us for the Docomomo US National Symposium 2013: Modernism Matters, to be held in Sarasota, Florida from April 18-20 2013. For an updated schedule of events and to purchase tickets visit the event website. 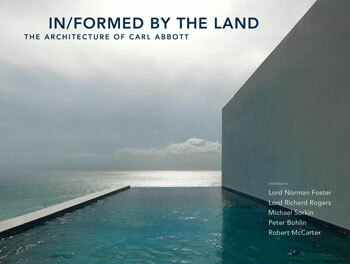 Carl Abbott, In/Formed by the Land: The Architecture of Carl Abbott (n.pl. : Oro Editions, 2013). The influence of Paul Rudolph on the architecture in Southern Florida is not limited to his buildings in Sarasota but extends itself in the work of others such as Carl Abbott. A graduate of Yaleâ€™s School of Architecture when Rudolph was dean, Abbott opens his practice in Sarasota in 1966 and is generally considered the youngest member of the so-called Sarasota School of Architecture, of which Rudolph and Twitchell were prominent members. Abbottâ€™s work is beautifully illustrated in his recent book, In/Formed by the Land: The Architecture of Carl Abbott, which includes written contributions from Michael Sorkin, Peter Bohlin and Robert McCarter as well as Richard Rogers and Norman Foster. Rogers and Foster were classmates at Yale and in addition to evocative images of Abbottâ€™s complete work the book also includes various photos of those students days. If the book proves anything it is that modern and modernist architecture can be very beautiful. Join the national community dedicated to raising awareness of the importance of modern architecture and landscapes in the United States. Membership is available online at docomomo-us.org/join or by downloading our membership form (PDF). 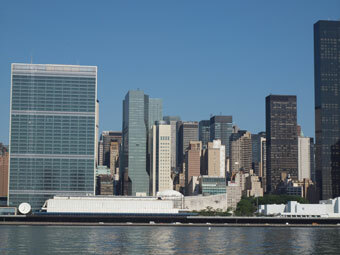 Name this building and architects for a chance to win a prize from the Docomomo US prize vault. Check our Facebook and Twitter for hints! Winner is selected at random from all correct entries. 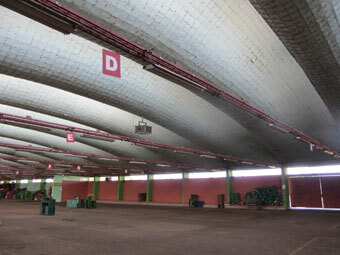 Email responses to info@docomomo-us.org by May 1, 2013. 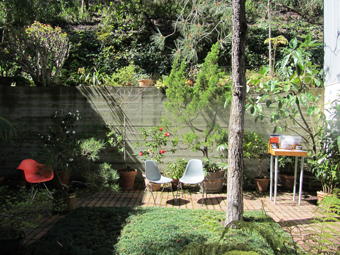 Congratulations to our contest winner Cammie McAtee who correctly identified the side yard at the Eames House designed by Charles and Ray Eames and opened in 1949. Docomomo US is the working party of Docomomo in the United States. 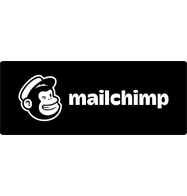 It is a 501(c)3 registered non-profit organization, a union of regional chapters that shares its members' knowledge of and enthusiasm for the Modern Movement, promotes public interest in it through lectures and walking tours, and organizes advocacy efforts to protect endangered sites and buildings. Copyright Â© 2013 Docomomo US, All rights reserved.